-- Please Choose an Option --	Youth: 22" - 28" XS: 28" - 34" S: 34" - 40" M: 40" - 46" L: 46" - 52" XL: 52" - 58" XXL: 58" - 64"
The Chiropractic Belt™ is a sacroiliac belt that is scientifically engineered to relieve lower back pain. This compact and sturdy belt assists in the healing and repair of both static and dynamic injuries to the sacroiliac joint. The design of the Adaptive Stabilizer™ consists of 2 velcro straps that provides gentle, but firm support to the lower back. 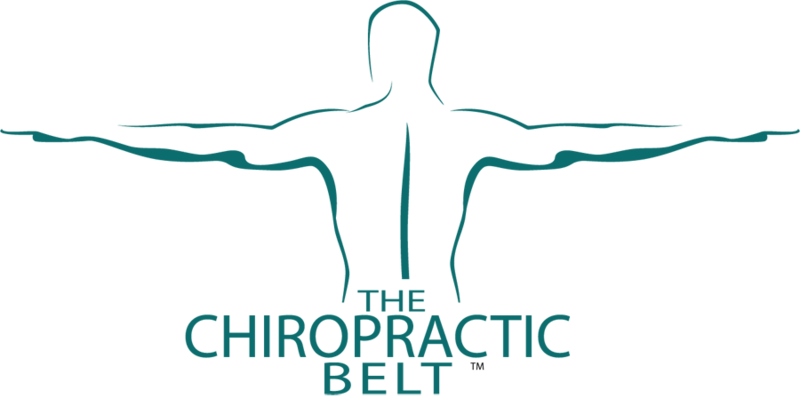 The Chiropractic Belt™ relieves pain, discomfort and instability caused by ligament and other connective tissue sprain/strain of the lower back. Now you can regain balance and coordination to your lower back - leading you to an improvement in overall health and quality of life. Measure the circumference of your pelvis at that point and add 4 – 6"
Learn how to use and put on The Chiropractic Belt™. Contact us if you have any questions on using the belt. For best results to alleviate back pain, wear The Chiropractic Belt™ as follows or as directed by your healthcare practitioner. If pain or irritation increases while wearing The Chiropractic Belt™, reposition it by decreasing the tension of the side tension straps. If pain or irritation is not resolved by repositioning the belt, discontinue use. Click the button below to add the The Chiropractic Belt™ - Black to your wish list.